This quilt was presented to the wife of Thomas Brainerd, pastor of the Third Presbyterian Church of Philadelphia, in May 1846. The gift of the quilt was meant as a measure of solace to the Brainerds, whose young daughter had succumbed to scarlet fever. 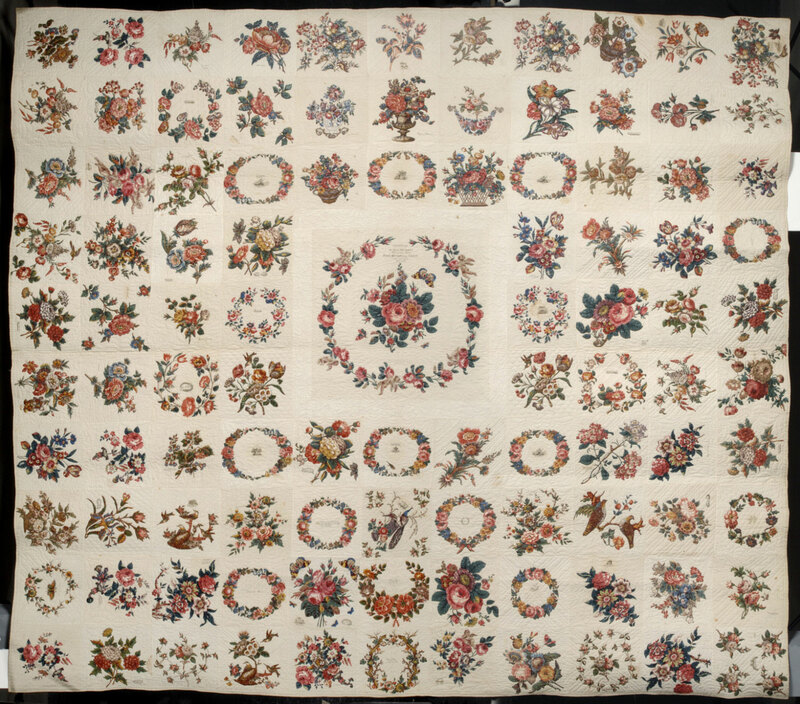 The quilt is similar to others made by religious congregations in Philadelphia during the 1840s; many use identical English floral chintz fabrics, which may indicate that precut fabric could be purchased for use as appliqués. 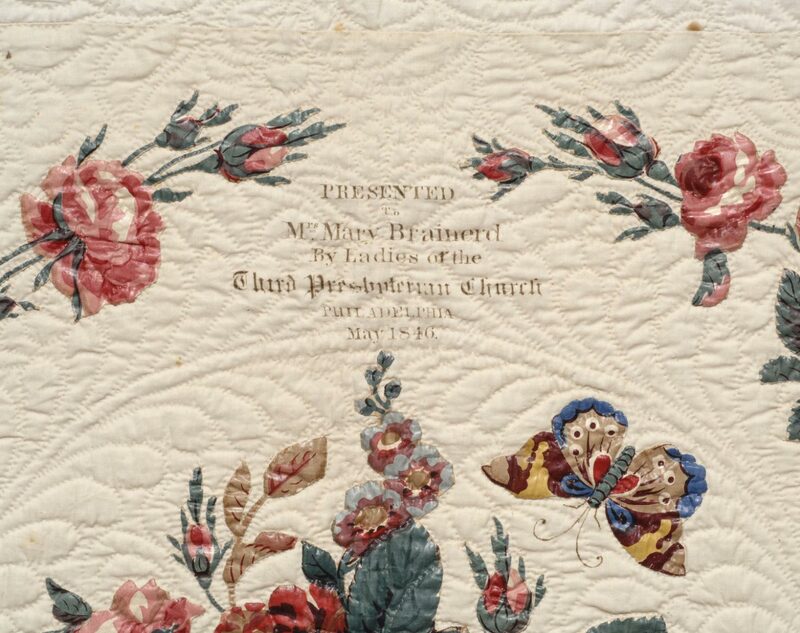 In 1842, the ladies had presented a nearly identical quilt (now in the collection of the Los Angeles County Museum of Art) to the Reverend George S. Boardman, who also preached at the church, suggesting that each church developed a distinctive style of quilt design.